Roundtable Discussion: Is It Time For the Cleveland Cavaliers to Panic? Roundtable Discussion is a new feature of the site. This segment will focus on a series of sports issues, involving the NBA, MLB, NFL, NHL, collegiate athletics and much more. In the very first episode, staff writers Steven Abramo, Sam Hengeli, and Jerome Williams each voice their opinions over the complicated state of the Cleveland Cavaliers. For future note, this segment will appear once every three weeks. 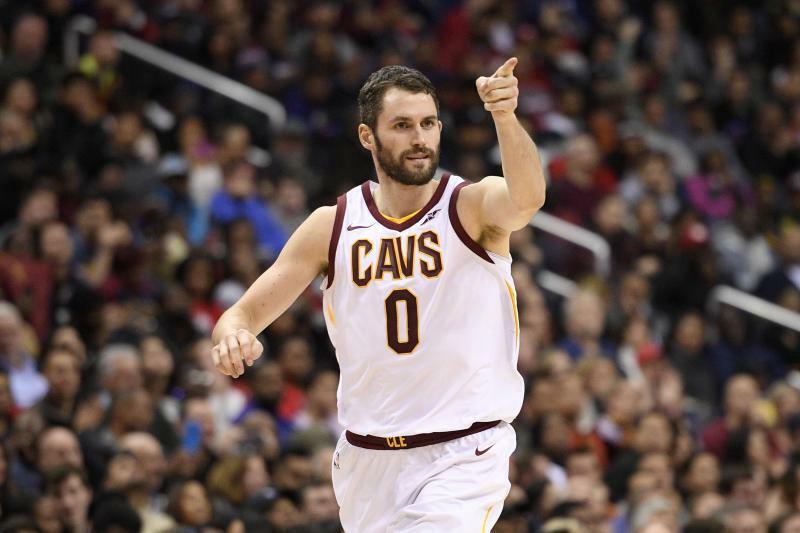 Steven Abramo: Last Wednesday, The Ringer’s Chris Ryan and Justin Verrier each discussed in great detail the current issues involving the Cleveland Cavaliers. So with that, I feel like now is an appropriate time to discuss this same issue. Obviously, Cleveland is struggling – like really struggling – losing 12 of their last 16 games. Furthermore, they suddenly find themselves third in the East and five games back from the Conference-leading Boston Celtics. In years past, Cleveland has experienced January ruts akin to the one they’re on right now. 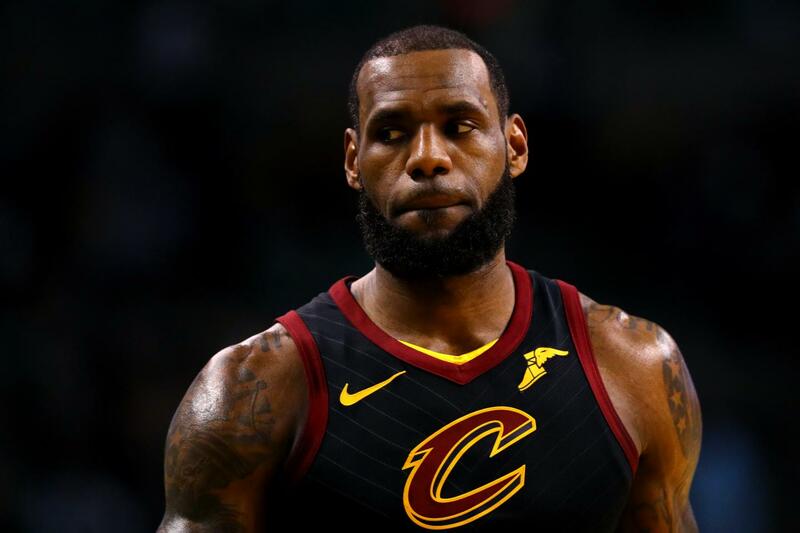 Every year it seems that LeBron James and the Cavs deal with a series of defensive shortcomings, as well as a lack of leadership and chemistry issues midway through the season. And every time, they’ve been able to flip the metaphorical “switch” late in the regular season and kick their motors into hyper-drive from April through June. So, I’ll ask you all this: Is Cleveland just experiencing their annual winter swoon, or are there real issues that aren’t fixable in the short-term? Sam Hengeli: With the past four years of January turmoil in Cleveland, no, the Cavs issues aren’t fixable in the short term. The personnel on the defensive end doesn’t correlate to having a championship defense or even a respectable one. Furthermore, LeBron has shown displeasure towards the Cavs management by getting Isaiah Thomas instead of acquiring Paul George or Eric Bledsoe, like he previously intended. But Cleveland’s issues have been more in the locker room than on the court. We’ve heard reports about Kevin Love being accused of faking an illness during a 24-point loss against Oklahoma City, or that players don’t like the relationship between James and Dwyane Wade. Recently in a postgame interview, James was asked about the future of Tyronn Lue and he said: “I don’t know.” Whenever Lebron says something it seems like people overreact to it, but that’s something that we need to pay close attention to. Now can the Cavs turn it around before the playoffs? Yes, they can, but it’s going to be very challenging with the Toronto Raptors steady rise and the Boston Celtics becoming a major threat in the Eastern Conference. Like I stated above, the Cavs’ struggles on defense are because of personnel, but also a lot of it is coming from the lack of effort being displayed. We saw it in last year’s Finals: not sprinting back on defense, allowing the Warriors to score in the fastbreak on almost every possession they had. Cleveland’s issues are no joke and must be figured out before it’s too late. Jerome Williams: Yes, Cleveland has some real issues that may not be able to be necessarily fixed, but rather masked without making a move in a trade. Cleveland is 26th in the NBA in points allowed (109.6) and 24th in rebounding. In the short term, it seems like Tyronn Lue is trying to address these two issues internally by moving Tristan Thompson back into the starting lineup and promising to give more minutes to Jeff Green. This should help with their defense and rebounding issues. Additionally, moving Jae Crowder to the bench will help the second unit on both sides of the ball and allow him to play more shooting guard. Isaiah Thomas should round into form by the playoffs, too. I kind of view him as a deadline acquisition because he’s been hurt all year. So a major trade probably doesn’t happen and let’s face it, who could Cleveland acquire that would make that big of a difference against a Golden State, Houston, etc. anyway? Unless they can get an Anthony Davis or Andre Drummond, they probably have to give up a 1st round pick for an older veteran and we do have to remember that this is the team that has made deep playoff runs the last three seasons, and it’s not a young roster by any means, with the average age being almost 30. As far as flipping the switch late, LeBron’s minutes are down this season so he should have “fresher” legs in April. Plus, their schedule doesn’t seem too difficult in March – April with the Cavs only having one back-to-back on March 27 and 28th. Steven Abramo: I can get behind both of these assessments. Personally, I feel as though Cleveland’s January slide is much bigger than what most fans actually want to believe. As much as I want to admit that LeBron making the Finals is a virtual lock by now, I would be remiss to ignore that he is one year older than last year. Of course the same be said for Dwyane Wade, Kevin Love, JR Smith, and others, but the practice of “flipping the switch”, can be accomplished so many times. Eventually, father time will win the battle against an aging roster. But moving on, let’s focus on a different discussion point. Let’s say Cleveland isn’t satisfied with what they have and feel that “upgrading” its roster makes the difference. What moves, if any, can Cleveland make at the February trade deadline that enhances their roster and turns them into a threat to Golden State? In past years, the Cavaliers haven’t necessarily swung for the fences in cases like this, but a midseason trade has worked wonders for them. In 2015, then general manager David Griffin picked up Timofey Mozgov, J.R. Smith, and Iman Shumpert to fortify the defense. In 2016, Channing Frye arrived to bolster the team’s shooting. Last year, it was Kyle Korver. Despite spinning off numerous first-round picks in those deals, the Cavs still have their own first-rounder to play with along with the fabled Brooklyn pick. Trading their own pick would lock them into keeping the Brooklyn pick thanks to the league’s rules prohibiting giving up first-rounders in successive seasons. Is this a route Cleveland should go with again? Sam Hengeli: One move that’s been in the talks for a couple months now is Cleveland trading for DeAndre Jordan. Jordan can help the Cavs stabilize its defense in regards to rim protection with his length, and will help secure defensive rebounds (he’s averaging 11.7 Def. Rebs per 36 minutes), so he’s a clear upgrade over Tristan Thompson in that regard. Another move that the Cavs should at least attempt is trying to pry Anthony Davis from New Orleans. If Cleveland snags Davis, the chances of LeBron staying will be 100 percent guaranteed. Davis is a superstar that LeBron would want to play with for the rest of his career. In all likelihood, acquiring Davis would mean giving up Kevin Love and the Brooklyn pick, though. However, if Cleveland doesn’t want to go big, they can go small by trading for point guard Kemba Walker and small forward Nicholas Batum. Both of them are rotting away in Charlotte, and chances are that the Hornets would not turn down a chance to sell their pieces off to get a head start on a hard reboot. Walker is one of the most underrated point guards in the league and can get to the basket at will, plus his durability and defense isn’t a liability as it is with Isaiah Thomas. Batum is also a knock-down shooter and an excellent defender. Nonetheless, the Cavs should definitely trade their own first round pick because it’s the pick that won’t affect Cleveland’s future. You can get solid role players like George Hill or Jonathan Simmons with a couple of other pieces involved. Also, don’t forget that the majority of these trades are made with three teams rather than two. So another team can give the Cavs assistance to help themselves along the way. Most of the time, the NBA rewards teams that take risks (unless you’re Billy King running the Brooklyn Nets). Teams in the past have made trades that ended up leading them to titles like the Celtics trading for Kevin Garnett in 2008, and the Rockets trading for Clyde Drexler in 1995. High risk, high reward is the direction the Cleveland Cavaliers should go. Jerome Williams: I think Cleveland makes a move but probably not a major one. The facts are that right now, they have too many players underperforming; Cleveland currently has only three players besides LeBron who are at least “average” as measured by the PER method. A rotation change probably won’t be enough long term, either, meaning in the playoffs. So is it age? Declining ability? Bad chemistry? All three? I don’t know the answer to that. But I do know that this is an old roster. LeBron may walk this offseason. If the Cavs don’t want to go into a full rebuild then they need to keep their 1st round picks. Maybe making a smaller move like trying to get Kyle O’Quinn from New York? I know O’Quinn isn’t a beast by any means, but he is 6’10”, fairly mobile, and is grabbing almost six rebounds/game in very limited minutes. He doesn’t have a huge financial commitment either so you aren’t sacrificing any long-term flexibility by getting a player like him. I sort of like the idea floating around about getting George Hill because Hill would help on the defensive front and Cleveland would be giving fewer minutes to the man formerly known as JR Smith. But Hill is making All-Star money and I’m not sure you want to pay a 33-year- old Hill $20 million in two years. Steven Abramo: I’ll lean towards Jerome’s opinion and say that acquiring a player of George Hill’s caliber makes the most sense to Cleveland, especially financially. I would also go a little further and say that Lance Thomas is another low-risk option that Lue can utilize in spurts. He is on a relatively cheap deal and could be the kind of guy that Lue has trouble taking off the floor. There isn’t anything flashy about him, but he defends multiple positions, stretches the floor and keeps the ball moving – three minor, yet vital aspects of the game that Cleveland lacks right now. While I wouldn’t be surprised if Cleveland does acquire Kemba Walker or DeAndre Jordan – two of the bigger fish on the market – I don’t think Cleveland wants to deal with such a financial commitment down-the-road, especially with life after LeBron. But let’s say no moves can be made, what “tweak” or adjustment can Tyron Lue make that turns Cleveland’s ship around? Does it all solely reside on defense? Or does a lineup change of Kevin Love at the 5, LeBron at the 4 move the needle with the Cavs on both ends of the floor? Sam Hengeli: What I believe Lue should do is insert Tristan Thompson back into the starting rotation. Thompson provides the Cavaliers great energy with his relentless work on the offensive glass. Not to mention, he’s started most of the time as a member of the Cavaliers. Moving LeBron to the four wouldn’t be a bad idea because it would give him more of a break on defense if the power forward matches up mostly plays down low. The defense is going to have to figure out how to stop the pick-and-roll, though. One way to stop the PnR is to switch and rotate quickly, that starts by forcing turnovers or getting steals with guys getting into the right spots. As I mentioned earlier, the effort level has been terrible of late, which has caused Cleveland to surrender an average of 11.8 three-pointers per game. According to Fox Sports’ Nick Wright, an NBA player who is a good shooter makes about 80 percent of their threes in warm-ups. A lot the threes the Cavs have given up have been wide open. That’s going to need to change if the Cavs want to make it back to the NBA Finals. Jerome Williams: I think Lue is starting to go down this road right now with the starting rotation change. Cleveland has enough offense, but they need defense and that’s what Thompson excels at. They could also play the younger guys down the stretch more often than not, regardless of what seed they may find themselves in. Players like Cedi Osman and Ante Zizic…play those guys extended minutes and figure out whether or not they can be apart of the new squad going forward. Young players bring an energy that the older veterans could feed off of. Cleveland could also move Love to the 4, LeBron to the 3, and Crowder to the 2 in certain match-ups. This would help perimeter defense and team rebounding. I think that he could give LeBron some nights off in March and April so that IT can get more into the flow of the team. Sort of like making it his team and maybe he will start to play better. Let IT play with those young horses and we may start to see the same player we saw in Boston last year. Steven Abramo: To me, any adjustments Lue makes from here on out must start and end with Kevin Love and Tristan Thompson. Those two are vital to LeBron’s dominance and Cleveland’s overall success. Moving Thompson to the 5, Love to the 4, and Bron to 3 makes Cleveland much smaller, however, it gives Lue the ability to switch everything. Also, I don’t know if Cleveland has the personnel to do this, but the Cavs should steer towards the “grit-and-grind” approach that won them the title in 2016. During Cleveland’s comeback against the Warriors, the Cavs won the battle on the defense and on the boards. Taking a page out of that playbook is the best way Cleveland can make the most of its roster. We’ll end it with this, though: assuming everything, and I mean everything sours – meaning Cleveland surrenders the Nets pick for better players at the deadline and still falls short to Golden State – is Cleveland’s future after 2018 damaged? Does this make LeBron James staying with the Cavs virtually a no deal? Sam Hengeli: Without the Brooklyn pick, Cleveland’s future going forward diminishes. This year’s NBA draft is supposed to be one of the best in NBA history. That Brooklyn pick could turn into a Trae Young, Michael Porter Jr, Mo Bamba, or a Marvin Bagley Jr. This would affect them in the future in that they could develop another superstar for years to come. Now does this make a virtual no deal for LeBron to stay? My answer is no. I say this because there’s really no other options that aren’t any better than staying. The Lakers are still young and the chances of them landing big-time free agents are not likely especially with the LaVar Ball saga. The Spurs have turmoil with Kawhi Leonard being disconnected right now. The Rockets have too many free agents this upcoming summer that want to get their money, and the Sixers may be the best option but “The Process” still is at 20 percent in progress. The others teams would have to convince LeBron that they can take down the Warriors in order for him to take his talents somewhere else, and I don’t see that happening. Jerome Williams: Everything with a beginning has an end, and the end of LeBron James in Cleveland is inevitable. Whether by leaving or retiring, he can’t play in Cleveland forever. Personally, I think that the end happens this off-season regardless of what the Cavs do this year. If Cleveland wins it all, LeBron can depart on a high note. If they lose and trade assets, he can make the case that he doesn’t want to go through another rebuild at his age. If they don’t make a move and lose, he can make the case that ownership/management didn’t do enough to make sure that the team had a chance to win. I don’t think LeBron would go down the blame game road though, I just think that if he leaves, he leaves. Maybe he wants to finish his career in LA or New York or any number of places? Maybe he has a different motivation for leaving? To me, it doesn’t matter, I think he’s earned the right to do that. So if I’m running Cleveland’s front office, I’m preparing for life “After Lebron” (AL) and doing everything in my power to look towards the future. This team will make the playoffs and more than likely make it to the Finals again without trading a 1st round pick. LeBron is that good. Remember, his minutes are down below his career average but statistically, he’s better than he’s ever been. But short of Durant, who could Cleveland realistically trade for that ensure that they win the title this year and are able to get back there next year without LeBron? And guess what, if they traded for Durant (which obviously wouldn’t happen), he would just opt out and go somewhere else next July. DeMarcus Cousins, maybe? Who in their right mind believes he would sign a longer-term extension to stay in Cleveland? Cleveland fans need to worry about the present and just appreciate the fact that they get to watch one of the best players in NBA history play for their team and for the next few months.